Stood second in Shivaji University, Kolhapur, Maharashtra, India in MD anaesthesia. Created a state-of-the-art WEBSITE www.cardiacanaesthesia.in which is gaining National and International acclaim and recognition. Dr Justiaan Swanevelder, the estemmed Faculty, Professor and Head of Department, Groote Schuur Hospital & UCT Medical College, Capetown, South Africa showed my picture and my website's picture on screen, appreciated and recommended it in the prestigious Dr V A Punnose ORATION in National Conference of Indian Association of Cardiovascular Thoracic Anaesthesiologist - IACTACON 2016 held in Chennai, India. You tube Channel "Dr Amarja's Cardiac Anaesthesia" running successfully. "Dr Amarja's Cardiac Anaesthesia" Facebook Page spreading knowledge. Dissertation on "Priming Principle and induction dose of Propofol." 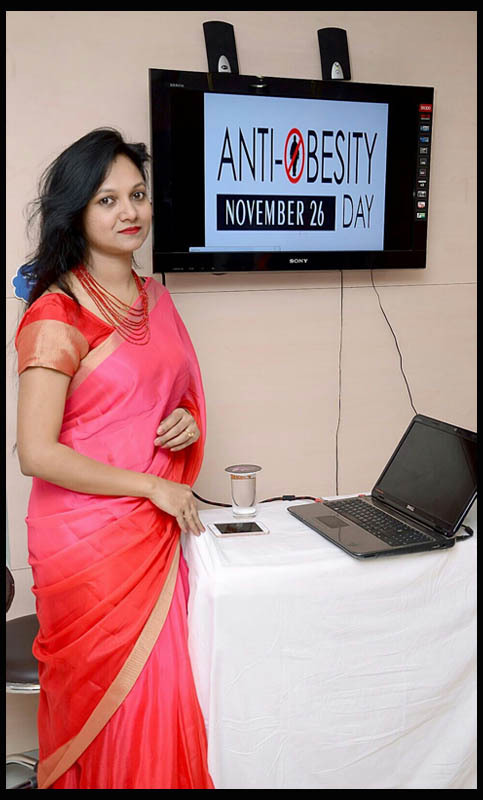 Faculty Speaker in National Workshop on Snoring and Sleep Apnea on the topic "Anaesthesia in Obstructive Sleep Apnea" held at Aurangabad, India in October 2015. Paper presentation on "Ultrafast tracking versus Conventional strategy in postoperative management of Off Pump Coronary Artery Bypass Surgery" in National conference of Indian Association of Cardiovascular Thoracic Anaesthesiologist at Chennai 2016. Paper presentation on "Epidural Magnesium prolongs the analgesia and reduces opoid requirement in high risk cardiac patients undergoing vascular surgeries" in National Conference of Indian Association of Cardiovascular Thoracic Anaesthesiologist at Jaipur 2015. E-Poster presentation on "Anaesthetic Management of a patient with Mediastinal Mass undergoing emergency excision for stridor due to tracheal compression" in National Conference of Indian Association of Cardiovascular Thoracic Anaesthesiologist at Mumbai 2014. Paper presentation on "Relationship of Pump Flow and Expired Pump CO2 on Cardiopulmonary Bypass : An Observational Study" in National Conference of Indian Association of Cardiovascular Thoracic Anaesthesiologist at Delhi 2012. Public Awareness Programme on Prevention of HeartBDiseases - "CARE YOUR HEART"
Public awareness on Anaesthesia – "WE CARE when you are unaware"
A journey of a thousand miles begins with a single step….. Single step every moment, every day shall suffice…..
consciousness focused on the present moment…..